"Breathin" (stylized in all lowercase) is a song by American singer Ariana Grande from her fourth studio album Sweetener (2018). It was written by Grande, Savan Kotecha, Peter Svensson, and its producer Ilya Salmanzadeh. The song was sent to US contemporary hit radio on September 18, 2018, serving as the album's third single. Lyrically, the song speaks about how breathing is affected when suffering from anxiety and is based on Grande's life. Peter Svensson (pictured) contributed to songwriting. Peter Svensson is a Swedish songwriter, producer and musician. He is the main songwriter and guitarist of the band the Cardigans. He started playing guitar at the age of eight, and in his teens he went on to play with local bands. After meeting bass player Magnus Sveningsson, they formed The Cardigans in 1992. Peter Svensson is credited with writing the music and melodies for almost all of the group's original songs. Dance-pop is a pop and dance subgenre that originated in the early 1980s. It is generally uptempo music intended for nightclubs with the intention of being danceable but also suitable for contemporary hit radio. Developing from a combination of electronic dance music and pop music, with influences of disco, post-disco and synth-pop, it is generally characterised by strong beats with easy, uncomplicated song structures which are generally more similar to pop music than the more free-form dance genre, with an emphasis on melody as well as catchy tunes. The genre, on the whole, tends to be producer-driven, despite some notable exceptions. F minor is a minor scale based on F, consisting of the pitches F, G, A♭, B♭, C, D♭, and E♭. Its key signature consists of four flats. Its relative major is A-flat major and its parallel major is F major. 'Breathin' is about breathing...when you're anxious. It's about anxiety and feeling like you can't get a full breath. It's like the worst feeling in the whole world. It's a song about that feeling...I was having lots of [anxiety attacks]. We were in the studio, we were writing and I was like, 'Ugh I can't breathe.' And they were like, 'We're going to write this song.' And I was like, 'Okay, I still can't breathe, but we'll write it.'" Aubrey Drake Graham is a Canadian rapper, singer, songwriter, actor, and entrepreneur. Drake initially gained recognition as an actor on the teen drama television series Degrassi: The Next Generation in the early 2000s. Intent on pursuing a career in music, he left the series in 2007 following the release of his debut mixtape, Room for Improvement. He released two further independent projects, Comeback Season and So Far Gone, before signing to Lil Wayne's Young Money Entertainment in June 2009. Prior to its release as a single, "Breathin" entered several charts worldwide upon the release of Sweetener due to strong digital sales. In the United States, the song debuted at number 22 on the Billboard Hot 100 issue dated September 1, 2018, earning Grande her fourteenth top-forty entry and marked the highest debut of nine entries from the album of which debuted on the Hot 100 the same week. The track sold 27,800 digital downloads in its opening week, allowing it to also enter the Digital Songs chart at number four. The following week, "Breathin" dropped fifteen positions to number 37 on the Hot 100. The song fluctuated on the chart for several weeks but as radio support began to build, it climbed from number 41 to 32 in its tenth week, jumping to number 21 the week after, overcoming its debut position of number 22. It reached a peak of number 12, and spent 25 weeks on the chart. "Breathin" entered the Billboard Mainstream Top 40 at number 38 for the chart issue dated September 18, 2018, and moved up to number 34 the following week. The song has since climbed up to number two, earning Grande her ninth top-five single there and third from Sweetener. On the Billboard Dance Club Songs, "Breathin" debuted at number 43 on the issue dated October 27, 2018, rising to number 27 in its second frame. The song reached the top spot in its seventh week on the chart, marking her third consecutive chart-topper and fourth overall. Internationally, "Breathin" debuted at number eight as the highest entry of the week on both the Australian ARIA Charts and the UK Singles Chart, becoming her eighth top-ten single in both countries. The song has also reached the top-ten in the Czech Republic, Ireland, Hungary, Portugal, Greece and Slovakia, as well as reached the top-twenty in Austria, Canada, Denmark, Finland, New Zealand, Norway, Scotland, Sweden, and Switzerland. Two music videos for the song were released. Grande released the first music video of the song on October 10, 2018, starring her pet piglet, Piggy Smallz, curiously approaching the camera and walking around on a bed with a plush cover. Grande shot the footage. Grande posted on Instagram that she hoped the video would make fans laugh while they await the "real" music video. Grande later revealed more news on the status of the official music video on November 3, 2018 via her Twitter account, stating that it would be released alongside the lead single of her upcoming fifth studio album. The music video was eventually released on November 7, 2018 on her YouTube account, which was directed by Hannah Lux Davis. The official video shows Grande by a train station with people passing by. It also shows scenes which includes getting her heads in the clouds and riding a swing-set in an over sized jacket. The video also shows her in the fog and her over a pile of luggage in the limelight in a long black dress. In the video, a departure sign is shown that includes the words 'Needy', 'Remember' and 'Imagine', which are song titles from her fifth studio album Thank U, Next - with the exception of 'Remember' which removed from the final track listing and was replaced by 'Break Up with Your Girlfriend, I'm Bored'. 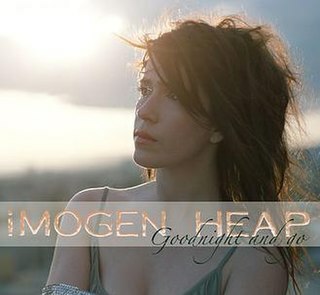 "Goodnight and Go" is a song by British singer-songwriter Imogen Heap, the second single from her 2005 album Speak for Yourself. The single received a little more push and promotion in the US than "Hide and Seek", and the music video received airplay on VH1. Jeff Beck plays guitar on the track. 1 2 "Premature Evaluation: Ariana Grande Sweetener". Stereogum. August 17, 2018. Retrieved August 30, 2018. ↑ "Top 40/M Future Releases - Mainstream Hit Songs Being Released and Their Release Dates". All Access. September 18, 2018. Archived from the original on 2018-09-18. Retrieved September 18, 2018. 1 2 3 Sweetener (CD). Ariana Grande. Republic Records. 2018. p. 5. B0028815-02. ↑ "Ariana Grande teases new music: 'no tears left to cry'". BBC. April 18, 2017. Retrieved August 30, 2018. ↑ "Ariana Grande's 'No Tears Left To Cry' Video Pays Tribute To Manchester". Paper . April 20, 2017. Retrieved August 30, 2018. ↑ "Sweetner by Ariana Grande". iTunes Store . Retrieved August 30, 2018. ↑ "Ariana Grande "Breathin" Sheet Music in F minor (transposable)". Musicnotes.com. Universal Music Publishing Group . Retrieved August 31, 2018. ↑ The Tonight Show Starring Jimmy Fallon (August 16, 2018). "Ariana Grande Predicted She Would Marry Pete Davidson Three Years Ago". YouTube . Retrieved August 30, 2018. ↑ "Ariana Grande, Sweetener". Pitchfork. August 21, 2018. Retrieved August 30, 2018. ↑ "Album Review: Ariana Grande's 'Sweetener'". Variety. August 17, 2018. Retrieved August 30, 2018. ↑ "Review: Ariana Grande Finds Serenity and Has Some Fun on 'Sweetener'". Rolling Stone. August 20, 2018. Retrieved August 30, 2018. ↑ "6 Reasons Ariana Grande's 'Sweetener' Is Her Most Uplifting Album Yet". Billboard. August 17, 2018. Retrieved August 30, 2018. ↑ "Ariana Grande, Sweetener review: A portrait of an artist in flux". The Independent. August 17, 2018. Retrieved August 30, 2018. ↑ Zellner, Xander (August 27, 2018). "Ariana Grande Earns 10th Top 10 Hit, Lands 10 Songs on Billboard Hot 100". Billboard. Retrieved August 27, 2018. ↑ "Pop Songs: September 18, 2018". Billboard. Retrieved October 2, 2018. ↑ "Pop Songs: September 29, 2018". Billboard. Retrieved November 20, 2018. 1 2 "Ariana Grande Chart History (Pop Songs)". Billboard. Retrieved December 18, 2018. ↑ Brandle, Lars (August 27, 2018). "Ariana Grande's 'Sweetener' Tops Australia's Albums Chart". Billboard. Retrieved August 27, 2018. ↑ Sexton, Paul (August 24, 2018). "Ariana Grande's 'Sweetener' Hits the Sweet Spot Atop UK Albums Chart". Billboard. Retrieved August 24, 2018. ↑ "Ariana Grande - Breathin (Live at Sweetener Sessions)". YouTube . August 27, 2018. Retrieved August 30, 2018. ↑ Brian Cantor (November 6, 2018). "Ariana Grande Will Perform "Breathin" and "Thank U, Next" On November 7 "Ellen DeGeneres Show"". Headline Planet. Retrieved November 6, 2018. ↑ Grossman, Lena (October 10, 2018). "Ariana Grande and Pete Davidson's Pet Pig Piggy Smalls Just Made Its Glorious Music Video Debut". Eonline.com . Retrieved October 11, 2018. ↑ Runtagh, Jordan (October 11, 2018). "Ariana Grande Is 'Feeling Better' After Break as She Releases New Music Video Starring Pet Pig". People. ↑ Calfee, Bailey (October 11, 2018). "Ariana Grande Responds to Critics of the Sweetener Era". Nylon. ↑ "Argentina Hot 100 – Semana del 24 de Noviembre de 2018". Billboard Argentina (in Spanish). Retrieved November 23, 2018. ↑ "Australian-charts.com – Ariana Grande – Breathin". ARIA Top 50 Singles. Retrieved August 30, 2018. ↑ "Austriancharts.at – Ariana Grande – Breathin" (in German). Ö3 Austria Top 40. Retrieved August 31, 2018. ↑ "Ultratop.be – Ariana Grande – Breathin" (in Dutch). Ultratop 50. Retrieved October 31, 2018. ↑ "Ultratop.be – Ariana Grande – Breathin" (in French). Ultratip. Retrieved September 15, 2018. ↑ "Ariana Grande Chart History (Canadian Hot 100)". Billboard. Retrieved November 20, 2018. ↑ "Ariana Grande Chart History (Canada AC)". Billboard. Retrieved February 12, 2019. 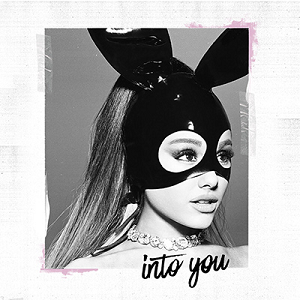 ↑ "Ariana Grande Chart History (Canada CHR/Top 40)". Billboard. Retrieved January 23, 2019. ↑ "Ariana Grande Chart History (Canada Hot AC)". Billboard. Retrieved January 29, 2019. ↑ "Croatia ARC TOP 100". HRT. Retrieved November 27, 2018. ↑ "ČNS IFPI" (in Czech). Hitparáda – Digital Top 100 Oficiální. IFPI Czech Republic. Note: Change the chart to CZ – SINGLES DIGITAL – TOP 100 and insert 201834 into search. Retrieved August 31, 2018. ↑ "Track Top-40 Uge 35, 2018". Hitlisten . Retrieved September 5, 2018. ↑ "Ariana Grande: Breathin" (in Finnish). Musiikkituottajat – IFPI Finland. Retrieved September 3, 2018. ↑ "Offiziellecharts.de – Ariana Grande – Breathin". GfK Entertainment Charts. Retrieved August 31, 2018. ↑ "Archívum – Slágerlisták – MAHASZ" (in Hungarian). Single (track) Top 40 lista. Magyar Hanglemezkiadók Szövetsége. Retrieved August 30, 2018. ↑ "Archívum – Slágerlisták – MAHASZ" (in Hungarian). Stream Top 40 slágerlista. Magyar Hanglemezkiadók Szövetsége. Retrieved August 30, 2018. ↑ "IRMA – Irish Charts". Irish Recorded Music Association . Retrieved August 31, 2018. ↑ "Top Singoli – Classifica settimanale WK 34" (in Italian). Federazione Industria Musicale Italiana . Retrieved August 30, 2018. ↑ "The Official Lebanese Top 20 - Ariana Grande". The Official Lebanese Top 20 . Retrieved October 30, 2018. ↑ "Nederlandse Top 40 – week 44, 2018" (in Dutch). Dutch Top 40 Retrieved November 3, 2018. ↑ "Dutchcharts.nl – Ariana Grande – Breathin" (in Dutch). Single Top 100. Retrieved August 30, 2018. ↑ "NZ Top 40 Singles Chart". Recorded Music NZ. August 27, 2018. Retrieved August 31, 2018. ↑ "VG-lista – Topp 20 Single uke 34, 2018". VG-lista . Retrieved August 31, 2018. ↑ "Portuguesecharts.com – Ariana Grande – Breathin". AFP Top 100 Singles. Retrieved August 31, 2018. ↑ "Official Scottish Singles Sales Chart Top 100". Official Charts Company. Retrieved August 30, 2018. ↑ "Singapore Top 30 Digital Streaming Chart – Week 46" (PDF). Recording Industry Association (Singapore). Archived from the original (PDF) on November 22, 2018. ↑ "ČNS IFPI" (in Slovak). Hitparáda – Singles Digital Top 100 Oficiálna. IFPI Czech Republic. Note: Select SINGLES DIGITAL - TOP 100 and insert 201834 into search. Retrieved August 31, 2018. ↑ "Gaon Download Chart – Issue date: 2018.11.04 – 2018.11.10". Gaon Chart . Retrieved November 16, 2018. ↑ "Spanishcharts.com – Ariana Grande – Breathin" Canciones Top 50. Retrieved December 28, 2018. ↑ "Swedishcharts.com – Ariana Grande – Breathin". Singles Top 100. Retrieved August 30, 2018. ↑ "Swisscharts.com – Ariana Grande – Breathin". Swiss Singles Chart. Retrieved August 31, 2018. ↑ "Official Singles Chart Top 100". Official Charts Company. Retrieved August 30, 2018. ↑ "Ariana Grande Chart History (Hot 100)". Billboard. Retrieved December 11, 2018. ↑ "Ariana Grande Chart History (Adult Contemporary)". Billboard. Retrieved January 8, 2019. ↑ "Ariana Grande Chart History (Adult Pop Songs)". Billboard. Retrieved January 23, 2019. ↑ "Ariana Grande Chart History (Dance Club Songs)". Billboard. Retrieved November 23, 2018. ↑ "Ariana Grande Chart History (Dance Mix/Show Airplay)". Billboard. Retrieved December 20, 2018. ↑ "Ariana Grande Chart History (Rhythmic)". Billboard. Retrieved January 29, 2019. ↑ "Top 100-Jaaroverzicht van 2018" (in Dutch). Top40. Retrieved January 5, 2019. ↑ "ARIA Chart Watch #500". auspOp. November 24, 2018. Retrieved November 24, 2018. ↑ "Canadian single certifications – Ariana Grande – Breathin". Music Canada . Retrieved November 16, 2018. ↑ "New Zealand single certifications – Ariana Grande – Breathin". Recorded Music NZ . Retrieved November 16, 2018. ↑ "British single certifications – Ariana Grande – Breathin". British Phonographic Industry. Select singles in the Format field. Select Gold in the Certification field. Type Breathin in the "Search BPI Awards" field and then press Enter. ↑ "Top 40/M Future Releases". All Access Media Group. Archived from the original on September 18, 2018. Retrieved September 19, 2018. ↑ Corradini, Paola. "Ariana Grande - Breathin (Radio Date: 21-09-2018)" (in Italian). EarOne. Retrieved October 4, 2018. ↑ "Hot/Modern/AC Future Releases". All Access Media Group. Archived from the original on September 18, 2018. Retrieved September 19, 2018.